Giffords is doing much better although her recovery continues. During an interview with ABC News Anchor Diane Sawyer, Giffords spoke on how hard it is to complete sentences, problems with seeing with her right eye and moving on the right side of her body. 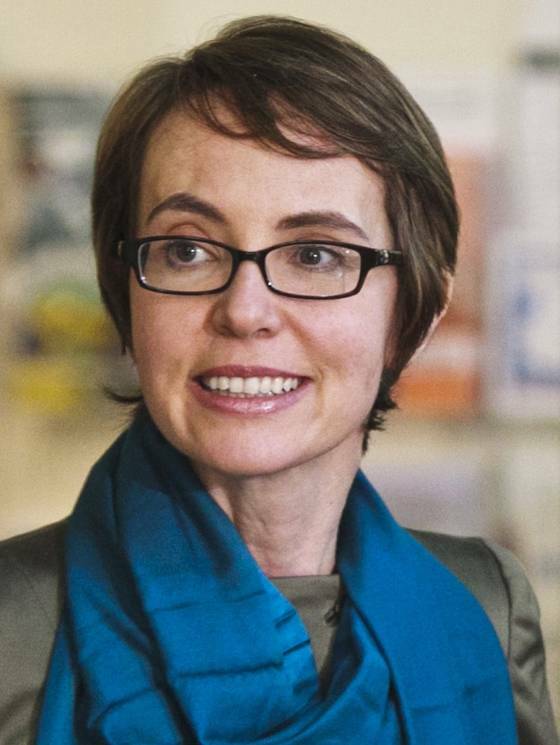 She does physical therapy, speech therapy and yoga, but what's most difficult for Giffords is how much different she looks. Loughner shot Giffords in the head at point blank range, the bullet going through her brain and shattering her skull. News outlets reported her dead at first. As for Loughner - a paranoid schizophrenic - he pleaded guilty to 19 counts of murder and other charges and was sentenced to life in prison last November. Since the Tucson shootings, there have been 11 mass shootings in the United States, USA Today reported. Giffords told Diane Sawyer that she and Kelly felt strong emotions when they visited with families whose loved ones were killed in the Dec. 14 shooting at Sandy Hook Elementary School in Newtown, Connecticut - 20 children and six adults died. The debate and dialogue about gun control continues, with Giffords and Kelly taking Congress to task for doing "nothing at all" about gun violence. It's an interesting stance, since the couple support the Second Amendment and are both gun owners. Nevertheless, with the rate at which young people and individuals are dying at the barrel of a gun, Giffords and Kelly are serious about their campaign to curb gun violence. We don't have the Tuesday interview here, but check out this one-year-old video of Giffords to see the start of her recovery. It's amazing to see how quickly she progressed!